The world-class, one-of-a-kind, escape room artist saw something in you! He saw talent and skill great enough to invite you to join his academy. But before joining Houdini's Academy, he wants to see your work on display in the flesh. Demonstrate that you can get out of the trickiest of situations and that you can speak the language of a true escape artist. There's a bright future ahead for you and a lucky few if you can just show him what you've got! Comfortable casual clothes and footwear are recommended for this quest. This game contains physical activity. 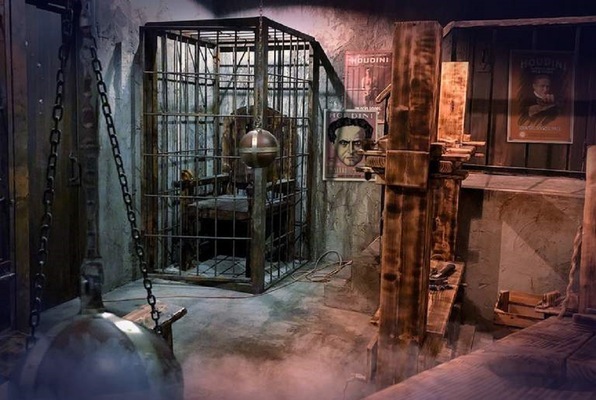 Reviews of escape game "Houdini"